One of the best ways to turn your résumé from a generic, laundry list of tasks into an effective interview magnet is to apply the quantification approach. This means quantifying your contributions as much as you can throughout the document. By including quantifiers, you are giving evidence of your value – the extent to which you have impacted organizations and stakeholders in a positive way. This will significantly increase your job search success rate. I’ve seen candidates go from getting zero to literally multiple interviews by including quantifiable contributions in their résumé. Click on this link and sign up for the free mini resume writing course that shows you how to use the quantification strategy. By using quantifiers, you’re giving the employer the scope and context they need to see your VALUE and how MUCH you can help THEM. The second statement is way more interesting and compelling because it provides some context by illustrating the scope of the contributions. The fact that most people don’t create quantifiable career marketing documents is great news for you, because when you do it, you will more than likely GET INTERVIEWS, which is why you’re sending the résumé in the first place! Quantifiers speak volumes – literally and figuratively! So, what’s a quantifiable contribution and how do you show it? It’s how you contributed in a way that can be measured in dollars ($), percentages %), numbers (#) and even time-lines (months, years). The more $, %, #, and time-lines you include throughout the résumé, the better. This is no time to be modest about your accomplishments – quantifiers need to jump off the page and literally gobsmack the reader in the face. Companies run their business on numbers. 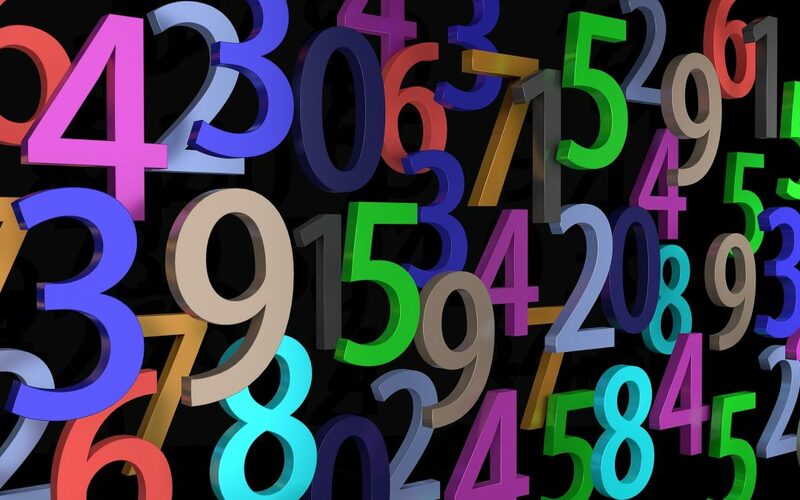 Hiring Managers base their decisions on numbers. Can you help them make money? Revenue (sales, profit margins) How many sales did you make within a certain time period? Production/productivity (efficiencies, throughput) How much did you increase production/throughput? Projects (budgets, $ value, time-lines, number of deliverables) How many projects did you lead or participate in? What were their budgets? How long did they take to complete? How many people were on the project team? If you’re in sales, business development, procurement, production, or some kind of position that deals with a lot of numbers and produces results that are easily measured, it’s not hard to come up with quantifiable contributions. But, what if your job wasn’t a numbers-driven of role? If you’re in a position where results are not easily measured, there are still things that you can quantify – you just have to give it much more thought. Rankings: How did you rank among your peers? Accuracy: What was your accuracy rate? Direct Reports: How many people were you directly responsible for? Schedule (deliverables): What percentage of times did you achieve on-time deliveries? Turnover (customers, employees): What employee/client retention rate did you achieve? Procedures (number of steps in process): How much did you streamline a procedure? Budgets: What was your P&L accountability? Customer/Client Service: How many customers/clients did you serve and how? Even though you might be in a role that is not numbers driven, you can still come up with numbers that provide some context and scope. Not every job contributes directly to revenue/profit generation, but every job does contribute at least indirectly. Employers don’t hire people for no reason – they’re looking of ways to make business runs smoothly which ultimately leads to MAKING MONEY. Therefore, the more you can help employers see to what extent you have contributed to making business run on-budget, on-time and efficiently, the better. And they way to do this is to show numbers, percentages, dollars, and time-lines. Need some help on how to implement the quantification strategy? Click on this link and sign up for the free mini resume writing course. Résumé help is only a click away! The quantification strategy is one of the most important things you can add to your résumé and is relatively easy to do when you know how to do it. I’ve put together a free tutorial that shows you how to implement it in your current résumé. It’s one module that is part of a larger course that is being developed. Click on this link to sign up to the free mini course! If you’re not sure if you’ve quantified your résumé properly, you can grab the 32-point Résumé Inspection which will give you a comprehensive assessment that includes personalized feedback (from me! ), links to more help, and downloadable resources. Click on this link to learn learn more. If you’d like to discuss how we can work together to create a branded résumé, cover letter, and Linkedin profile that sets you apart as the “perfect fit” candidate, click here to set up a free discovery call. I look forward to helping you with your career success!